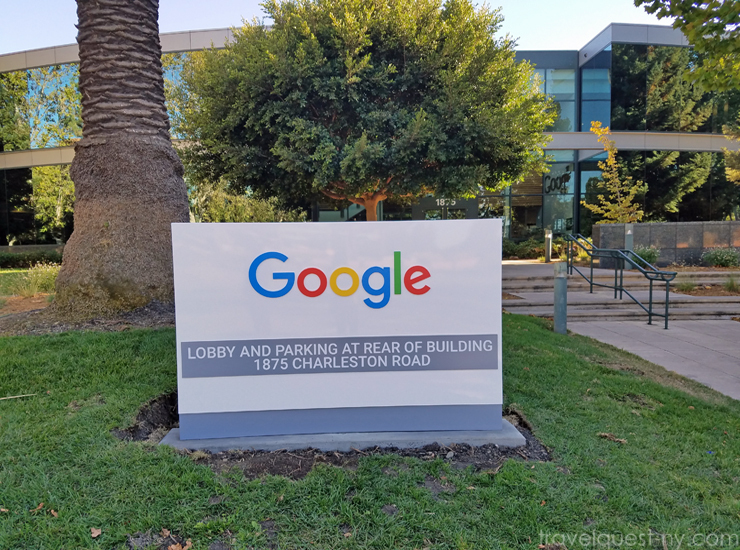 We were visiting Sunnyvale, California and we decided to drive along the Silicon Valley area. 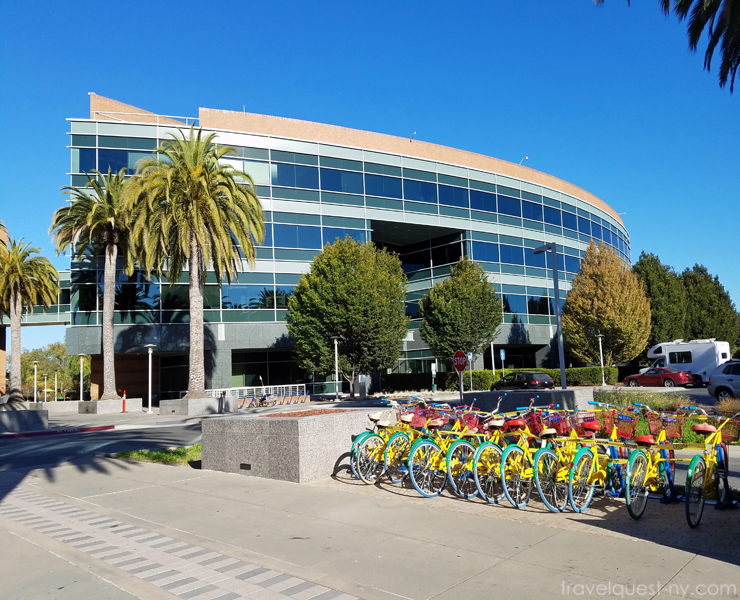 Silicon Valley, is the hub for high tech innovation and development, this is the home to many of the world's largest tech corporations like Google, Apple, Facebook etc. We didn't join any tour instead we drove by ourselves. 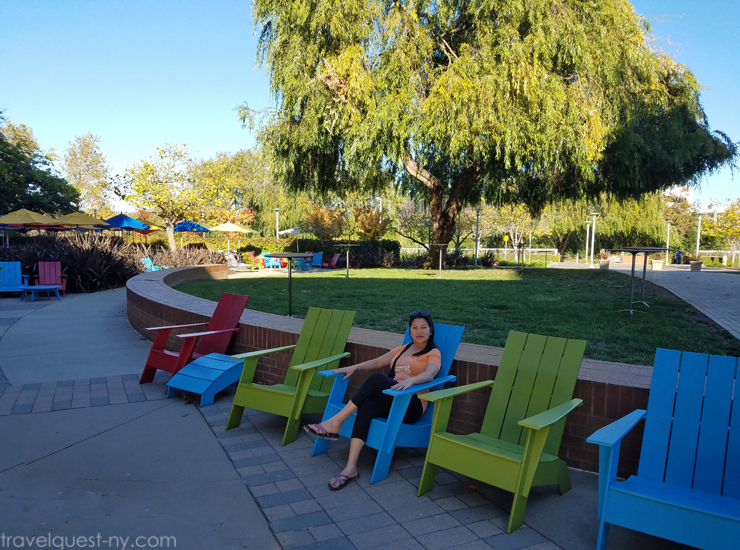 Let me take you to our first stop, the Google Campus located in Mountain View, CA. This place offers tour but because we were here on the weekend some of the company is close. The region employs about a quarter of a million information technology workers. Just for Google alone, with a street named, Google Street. I am surprised of how accessible their campus was. 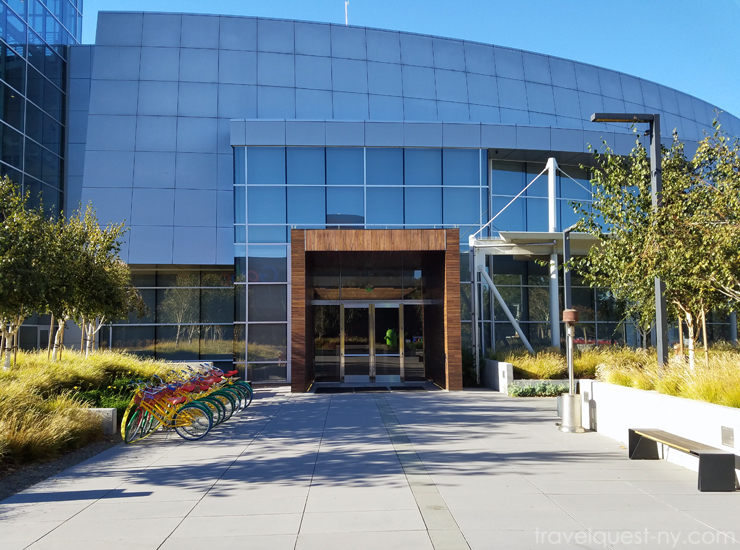 We enjoyed seeing the employees riding the google bikes and playing in the open areas very welcoming environment. The front building with the colorful bikes can be used by their employees only. Taking my time and enjoying the sight. 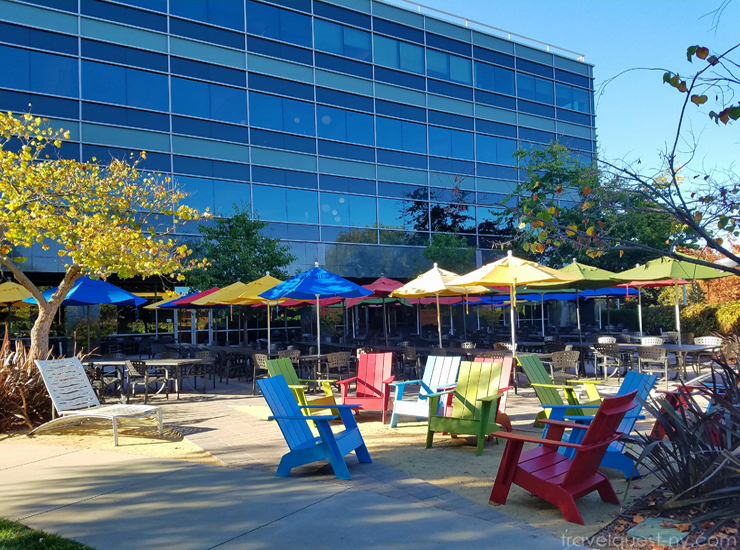 Google Campus outdoor dining set up. I can't believe I am actually here - the place where Innovation was born! Neat and pretty out here! I am so happy and forever be thankful to my husband for taking me to Silicon Valley - to see the outside buildings of the few well-known name in the world of Technology. Google just looks like such a fun place to work. I would love to just spend a day at Google to see how it all works. That place always intrigued me. I've never been there but I have heard all of the cool things they have there. Keep telling my husband he should try to get a job there just because LOL. 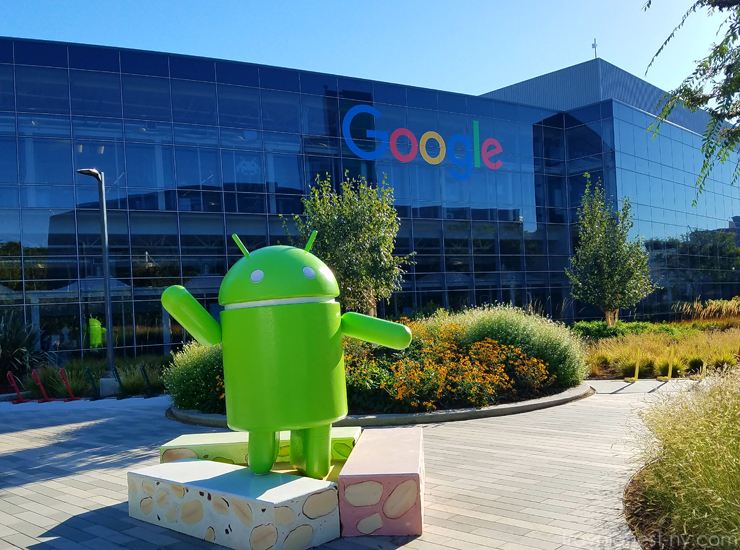 How cool is that to visit Google Headquarters .... looks like a neat place to visit! It seems like they have a really nice HQ. It's cool that you were able to visit! I would totally love to visit the Google Headquarters. I've been to their DC location and it was a bit magical. I love the colorful bikes. Those bikes are awesome and I love the colors. I would love to visit Google Headquarters and have a look around. What a fun tour! I would love to visit Google's Campus. I really would love to work there ! I have heard that the Googlr campus is really neat to see. I love the little Android statue and the bright colors. 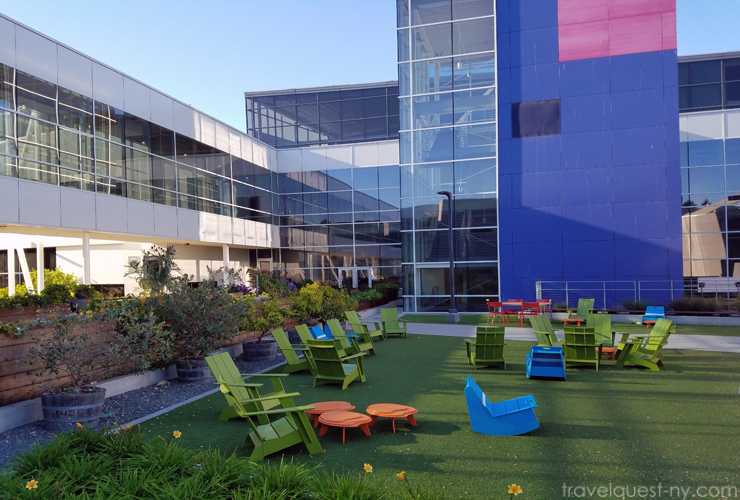 Google has created a very cool workplace environment. How I wish I could visit their headquarters even just for a day. I would so love to visit Google's headquarters! Always heard great rave about how awesome their office is and your photos are awesome. This looks like a really fun place to visit. I have never thought about going to the headquarters but I bet it would be fun! This sounds like an awesome drive and adventure for the whole family. I would love to visit the Google Campus some day. It really does look inviting and beautiful with the colors. I love the bikes. Thanks for sharing your experience. I love Google, it has made life so much easier for me. It's one of the best companies out there when it comes to tech, without a doubt! It's awesome that you got to tour around their building. How fun! 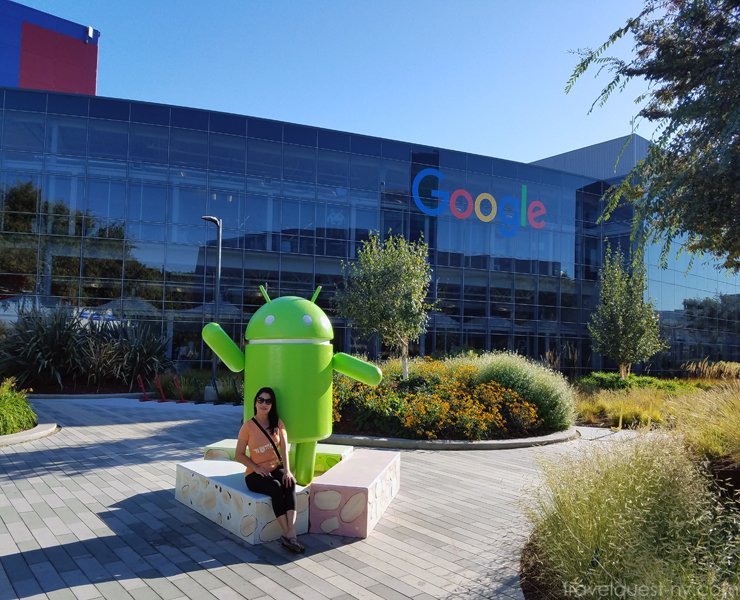 I have always wanted to visit the Google HQ because you hear so many stories about how cool it is! What a fun experience! What a neat trip. Google has definitely changed all of our lives. What a beautiful place to work. Glad you got to visit this technological landmark. Wow! What a fun little visit! I've never seen the building before - Definitely a very colorful place. It looks interesting! Wow! The Google Headquarters looks impressive. It looks like fun to work there!